If your brand isn’t using fidget spinners as promotional items yet, you’re missing out on a huge opportunity to get your company name in front of prospective customers. Fidget spinners have become a staple for students and employees alike, helping to relieve stress and keep you focused. Here at Myron, we offer a wide range of promotional products, including fidget spinners, that we can customize to suit your organization’s color scheme and branding. This classic fidget spinner is the variation that started it all. Users simply hold onto the disc in the center so that they can spin the rest of the device around it. With your brand name right in the middle, this giveaway item will remind customers of your company every time they use the spinner. This multifunction fidget spinner provides even more functionality for the user. 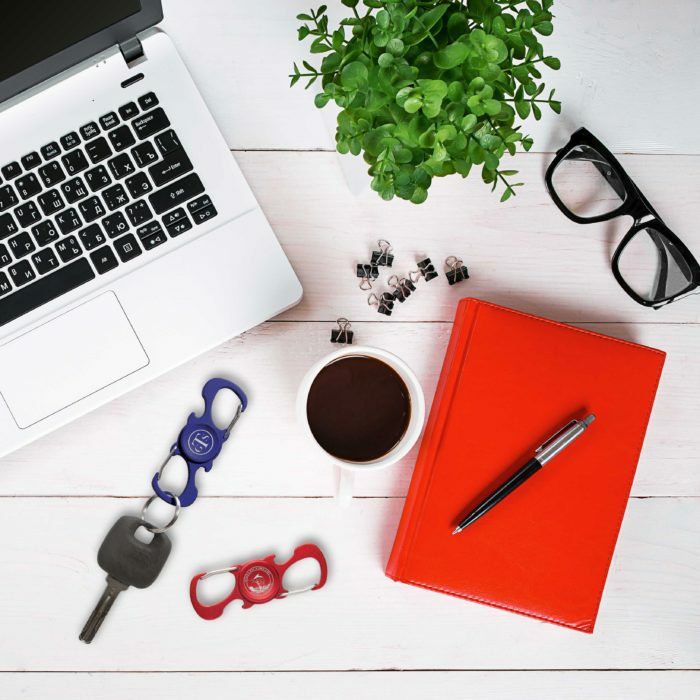 Each end is equipped with a carabiner clip to attach to a backpack, purse or key ring for easy storage when not in use, plus it has a bottle opener, perfect for cracking open a cold one at the end of a long day. Pens have long been a staple of promotional giveaways, and this fidget spinner pen takes spinning and relieving stress to a whole new level. The spinner is attached to the end of the pen for easy fidgeting while working. Visit Myron.com today and start creating your custom promotional fidget spinners to keep your brand name in the hands of customers and prospects. How Can Promotional Products Increase Customer Loyalty? Jot This Down: June 10th is National Ballpoint Pen Day!